The Best Place for All Your Pallet Ideas! If you want some more light in your life, give this project a try! 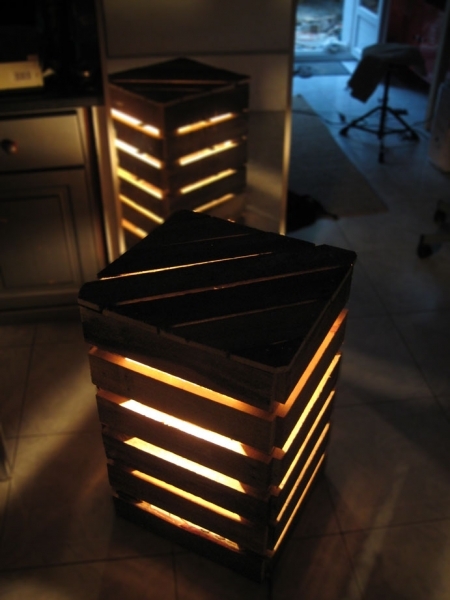 Here’s a homemade pallet cube light. Take a few panels, cut them according to the size light you want, put a top on, place a light or lightbulb in the center and you’re done! It looks great too. Could work inside, or in a garden! Visit our homepage for more DIY pallet ideas.